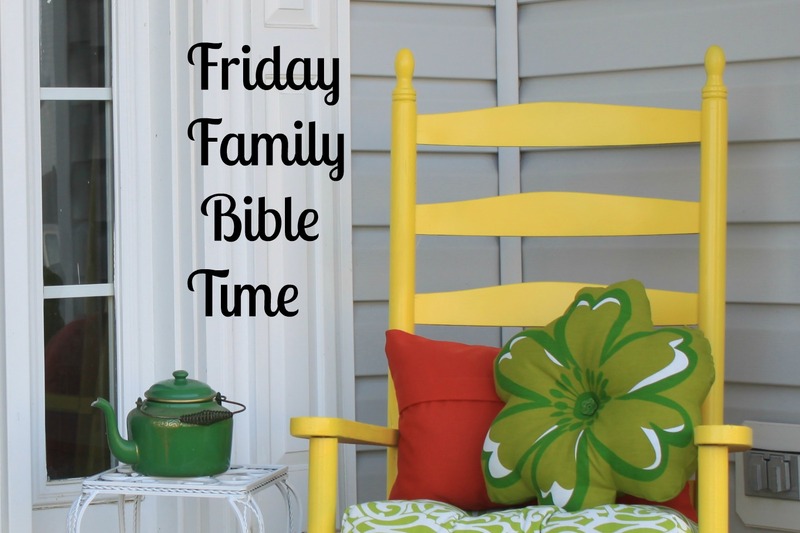 Welcome back to another Friday Family Bible Time! We are continuing with our study through the days of creation and this week we are on the third day. On this day, God formed the seas and the land. Then He made the first plants, trees, shrubs, and fruit! I don’t know about you, but I LOVE fruit! I am so thankful for the creativity of our Heavenly Father who gave us such a wide variety of fruit to eat. Our New Testament connection this week is found in John 15, where Jesus tells us that WE are to produce fruit, as well. We can only do this by staying connected to HIM. Apart from God, we can do nothing. Keep scrolling down and you can find this week’s study. Or, if you prefer a printable study, the link to the pdf is below. Theme: On day three of creation, God made the land, the seas, and the vegetation. He made trees that would produce fruit after their own kind. God wants US to produce fruit, too. 1. What did God create on the third day of creation? 2. What are your favorite plants and fruit? 3. How does new fruit grow? 4. What does the Bible mean when it tells us to produce fruit? 5. What kinds of fruits can we produce? 7. What are some ways that we can abide in Christ? 1. Make a fruit salad together. Discuss the different fruits of the spirit (see Gal. 5:22-23) that we should have in our lives as well as the ways we can produce fruit by telling others about Jesus. For added fun, take the fruit salad to a neighbor and share God’s love with them. 2. Visit an orchard and pick your own fruit. Discuss how we bear fruit while you are picking the fruit. Share the fruit you pick with another family. 4. Collect a bunch of branches and make a campfire. Discuss how the branches are dead because they are apart from the tree. In the same way, if we are not with God, we will be dead spiritually. Then we are good for nothing except to be burned! Roast marshmallows or hot dogs over your fire and discuss how we need to stay connected to God so we can continue to bear fruit and bring others to Him. 5. Cut up an apple and examine the seeds. Discuss how God made it so that each seed grows the fruit that it is from. You can’t get an orange from an apple seed! 6. If you have a musical family, sing the following fruit of the spirit song. This is LOTS of fun!!! Draw a picture of a tree on a large piece of paper. Then cut several pieces of fruit out of construction paper. On each piece of fruit, write a different person that you want to share Jesus with. Then pray for that person as you glue the fruit on the tree. Keep the tree in a place where you can use it in your prayer time this week. 2. Visit an orchard and donate the items you pick to a local homeless shelter. 3. Rake leaves for an elderly neighbor. Do this all season to make even more of an impact! 4. Plant a tree or flowers or pull weeds at an area park or another location that could use some sprucing up! 5. Pick up sticks at a local park or another area that could use it. 6. Bake a couple apple pies and give them away to a neighbor . . . or, invite your neighbor over to have an apple pie with you! If you have any ideas to add, share them in the comments below! If you have not gotten your October Prayer Calendar yet, why don’t you get it now? 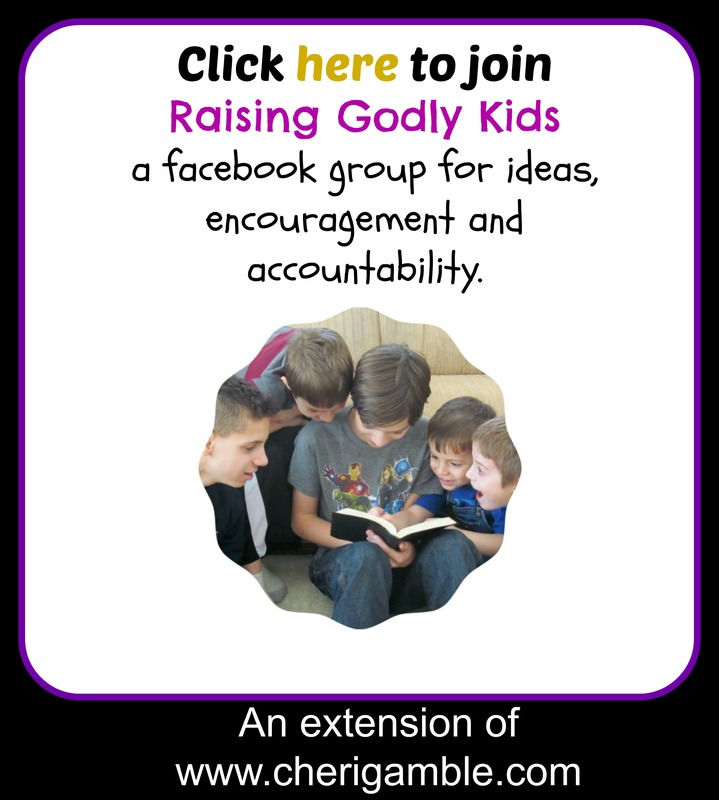 Help your kids PRAY BIG!! Also, don’t forget to check out the Monday Marriage Moments. Every Monday, I post a Bible study that you can do with your spouse to help your marriage. We are currently going through the fruit of the spirit . . . which would fit perfectly with this week’s family time! REMEMBER . . . your family is the most important ministry you have!!! May God bless you and your family this week!